Before we go any further I feel like I should point out that, should any of this actually happen, then I accept no blame for such a farce taking place in actual reality. 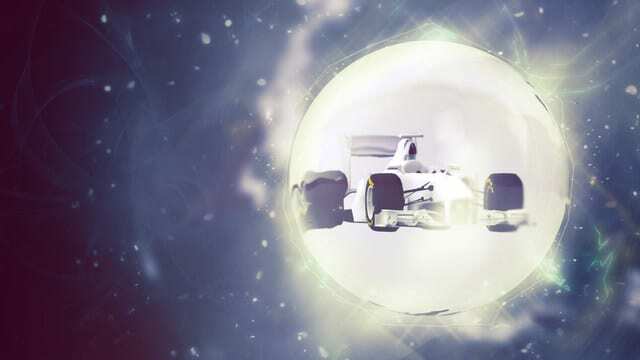 I say this simply because Formula 1 can be ridiculous enough for these to be a possibility and I don't own a crystal ball, just far too much spare time and a tendency to open Notepad to search for inspiration before giving up and saying that writing something is stupid. So, what controversies does Formula 1 have in store for us this season? Wet races are becoming more of a rarity it seems these days and even when they happen it often results in safety car starts. Understandable in the most severe of circumstances but as Formula 1 approaches the summer, the top teams are set to call emergency meetings on how Formula 1 can look at changing the weather to improve the show - not by forecasts but by the power of the teams themselves. Christian Horner will be an advocate of these initial meetings, suggesting that 'the fans are bored of grey skies' before Maurizio Arrivebene shrugs his shoulders and swoops his jacket over his shoulder. I don't talk much Ferrari speak but I understand that means he agrees. That or he's about to leave. He's a tough book to read. Ultimately the meetings will result in the newly formed Weather Investigational Committee including former F1 part time driver Pedro De la Rosa, missing man Nick Fry and, inexplicably, former F1 podium presenter Placido Domingo amongst others who will come to the conclusion that the weather is unfortunately a climatic event that Bernie simply cannot buy yet. Despite that Bernie will bad mouth the weather and 'the big man upstairs' to the disgust of many. Thanks to a successful winter and a good 2015 to back up the development of the new car, Ferrari will have a good season and kick off the year with a few wins. The tifosi are absolutely enamoured with delight for Kimi and Seb who really show what competition can be for Mercedes. Unfortunately the pressure gets too much for Mercedes who, by the Monaco Grand Prix, request the FIA look into the amount of red being used on the Ferrari this season. Now initially there's much confusion and quite right - in fact, this is the most least red that Ferrari have used in a long time in the car. Journalists even begin tweeting their annoyance at the use of 'most least'. Unfortunately F1 minnows Manor are dragged into the argument with their stunning new blue and red livery, with Wolff absurdly accusing their new engine partners of being 'traitor-like' by using some of their red paint from their previous Ferrari engines. Wolff himself even points out that he once saw Guenther Steiner at a B&Q in Banbury - this was of course until it is pointed out Steiner's association with Haas rather than Manor. The heavy red nose and Ferrari connection goes over Wolff's head, as well as a few receipts. Rumours continue to circle in the paddock regarding how much red is too much red and it's decided behind closed doors that Ferrari tend to produce red cars every so often and the complaint is ignored by the FIA. Jean Todt comes out in support for the colour red, saying it was his favourite colour when he saw fit to decide what order his red cars should finish in. The European Grand Prix of Not Europe is ultimately renamed to the European Grand Prix Brought To You By The Colour Red as an attempt to get viewers watching instead of Le Mans. Due to the BBC losing the Formula 1 broadcasting deal in the UK, Channel 4 begin the season announcing that they have done the world a favour by successfully applying for EJRO. Not that you need me to explain that as we all get them sorted at the court, but in case you forgot (it happens), that's an Eddie Jordan Restraining Order. EJ is not only banned from within a mile of any grand prix, but within a terrestrial channel of Channel 4. Luckily, this allows him to continue talking utter nonsense on Top Gear for all 6 of the viewers that chose to tune in. Unfortunately this doesn't quite go to plan around the time of the 2016 United States Grand Prix. Due to a 'mix up with the Friends boy', EJ so happens to find himself in Austin, Texas and coincidentally filming at the circuit just before the race. In a bid to hide who he actually is, EJ attempts to pass himself off as Le Blanc, somehow fooling the paddock pass security and making his way onto the grid for the Grand Prix. As part of Channel 4's coverage, their new gridwalk presenter Vernon Kay manages to find one of his heroes in Matt le Blanc on the grid stalking David Coulthard in a strikingly similar outfit. Kay notices how out of place this is for Le Blanc and unfortunately EJ's cover is blown by his own failings when he is unable to keep a sentence down to the words 'How you doing', quickly launching into a never ending stumble of babble and hogwash. EJ is removed from the paddock with immediate effect whilst shouting the words 'I know the other Friends and her from the films'. Formula 1 has a rich heritage in the UK and Silverstone is the pinnacle of British motorsport. Unfortunately it will be overshadowed this season by one of F1's biggest controversies in which Lewis Hamilton complains in the media build up to the race that he simply has too much money. It garners quite a response from the F1 community, more so the fans who are shocked at such a claim, but Hamilton goes on to defend himself by saying that it's difficult to truly relax on a personal plane when it is filled with dollar notes. His transatlantic Stevenage accent really nails the point home. In desperate times they say that you need friends to stick with you and that is precisely what happens this season on the weekend of the British Grand Prix. Long time cheater Flavio Briatore appears from his cave to announce that he understands Lewis' concerns and comes out to support him. Vijay Mallyah also voices his concerns at the problem, saying that poor people simply do not understand how heavy it is to hold a pile of banknotes on your shoulders. The Sahara Force India team immediately call an emergency meeting to discuss 'budget concerns'. Unfortunately the distraction proves too much for Hamilton who qualifies in 8th at Silverstone, with rival Kimi Räikkönen taking pole in the 'Less Red Than Melbourne' spec Ferrari. In the media pen, Räikkönen is asked if money is an issue in his world and he simply shrugs his shoulders. The combination of both Ferrari Speak and Kimi Räikkönen make it impossible to decipher his feelings on this. In a surprising twist to the controversy, Esteban Gutiérrez comes out in support for Lewis before immediately being pulled out of the limelight by Gene Haas and a briefcase suspiciously looking like a contract with sponsors names on. It becomes a bigger discussion as the season goes on, with the teams becoming involved and deciding that there is simply too much money in F1 and it is truly standing in the way of success. However, after discussions with Todt and Ecclestone it is decided that the teams actually really like money and Ecclestone likes it more. Coincidentally the prize funds then go up at the end of 2016 and the television contract rates also rise in a shocking twist after such a season of financial upset. As you can see we are all in for a rollercoaster of a year with plenty of ups, downs and some in betweens called races that everyone forgets about between the controversies. There will probably be a few hilarious terms used along the way that end in the suffix 'gate' - Rich-gate and The North Atlantic Drift-gate just to name a few - but ultimately by the time winter comes around and a new set of regulations are being prepared for 2017, the F1 paddock will go to sleep once more to prepare for many more controversies to think up.